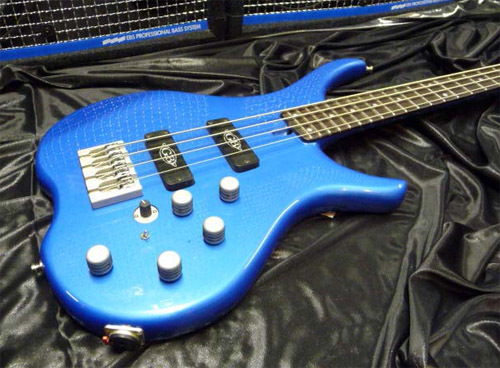 The final finish of the instrument is the icing on the cake. 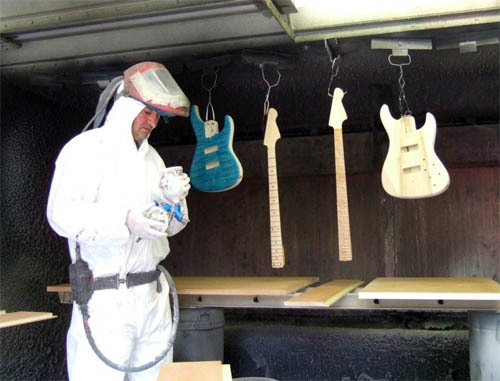 And whether you choose gloss, matt or satin, solid colour or stain, GB Guitars rely on the many years of experience in "high end" wood finishing that Chris and John at Bow Finishes have. They are the best. Our necks receive a particular treatment that ensures total playability; no uncomfortable "stickiness" often associated with gloss necks. 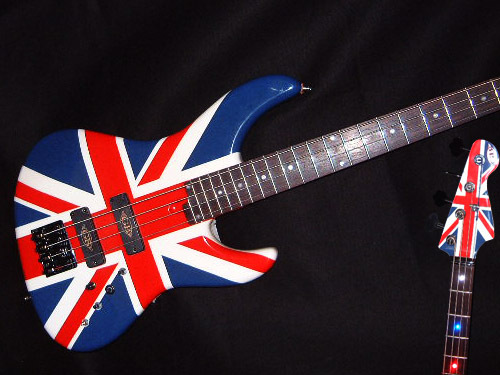 GB Guitars will not use the quick, cheap finish favoured by many well known bass guitar manufacturers. 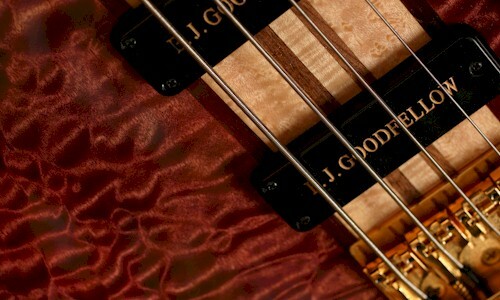 This is a single, thin application of lacquer, under the guise of a "Natural" finish. 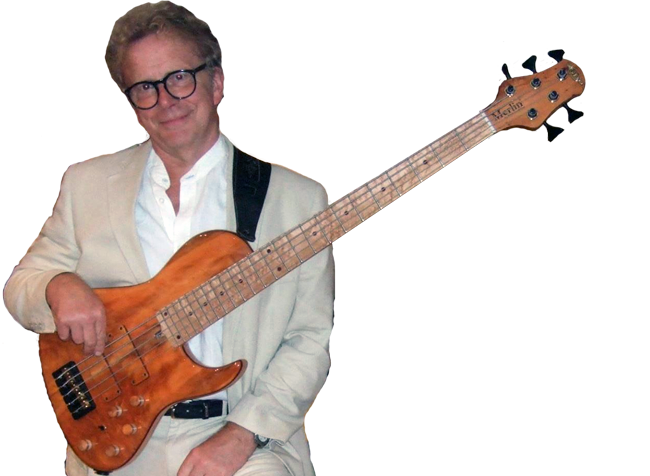 This wears through fairly quickly, which with a Maple fingerboard will soon discolour because of the oils and sweat from the players hands. When this happens, if it is not remedied quickly the stains will percolate to a depth which cannot be removed successfully. 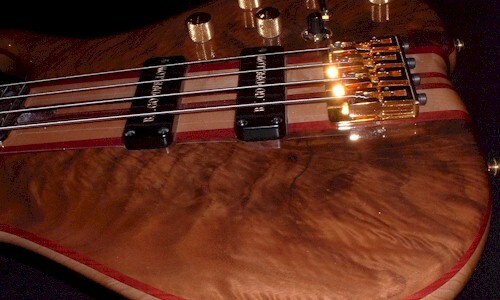 This look is acceptable on antique and old guitars, in fact it is sought after, but not on a brand new instrument with a beautiful figured Maple fingerboard. It simply does not work. This is why we seal our necks properly. 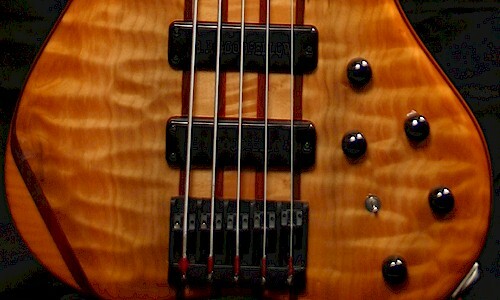 The following list is a selection of timbers we use for the book-matched facings on our basses. If you cannot see your preferred wood listed here, we can source many other timbers. The Thuya tree is a short scrub-like conifer indigenous to Morocco. 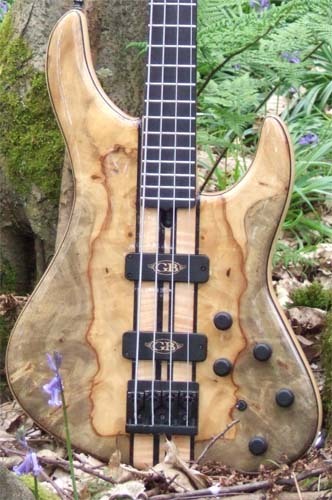 The exceptional natural patterns in the grain are only found in the root of the tree. This wood has been coveted since Roman times and in modern times extracts from the tree are used in both homeopathy and aromatherapy. Thuya comes from a sustainable source, the trees are constantly being replanted. Burr Maple is a type of wood in which the grain has grown in a random manner. It is commonly found in the form of a rounded outgrowth on a tree trunk or branch that is filled with small knots from dormant buds and can look amazing. Quilt or Quilted Maple is a type of Maple in which the growth of the wood fibres are curved, producing a beautiful wavy "quilted" look, similar to ripples on water or reminiscent of tidal sands. 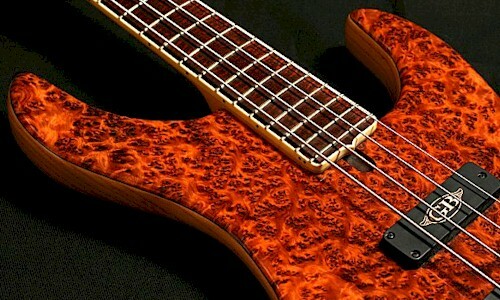 Flame Maple, also known as Flamed Maple, Curly Maple, Fiddleback or Tiger Stripe, is a feature of Maple in which the growth of the wood fibres is distorted in an undulating pattern, producing wavy lines known as "flames". This effect is often mistakenly said to be part of the grain of the wood; it is more accurately called "figure", as the distortion is perpendicular to the grain direction. The Walnut is a deciduous tree that can grow up to 40m in height. Walnut is a very hard and tight grained wood allowing it to be worked to an exceptional finish. 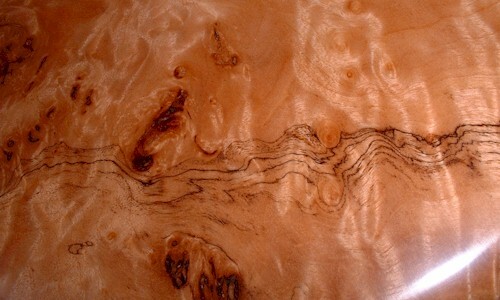 Buckeye is a Northern American wood which when spalted, produces a great array of different shades of colours. 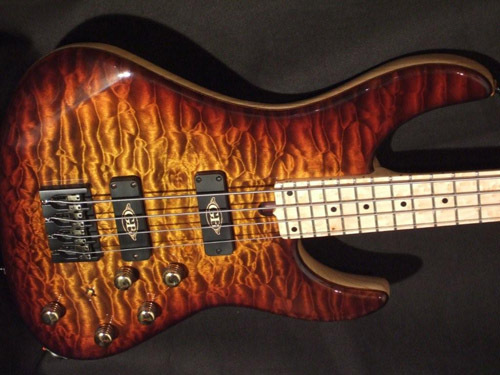 Of course, wood finished basses may not be to everybody's taste. So we offer traditional paint finishes in just about any colour you can imagine. We can enhance the natural beauty of the facings and make the figure of the timber much more prominent with a process called double-staining. 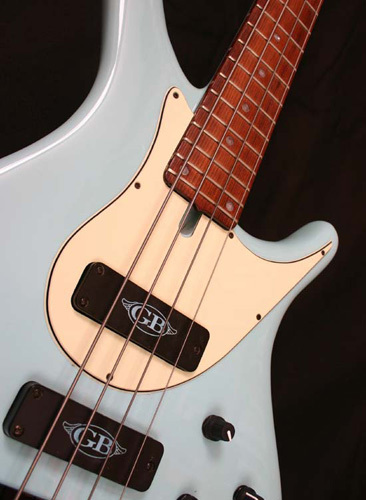 Many GB owners have chosen a "burst" stunning finish, illustrated in image 2 above. Check out the Merlin ©, Rumour © and Spitfire © galleries.